Rett Harmon has positioned himself as a community expert in Carrollton, Georgia. He promotes local organizations and events, leveraging a powerful personal brand and an investment in video marketing to stay top of mind and establish connections with local business owners. His approach is paying off big time in terms of referral business, and his brokerage enjoys about 80% organic lead generation. Rett is the Co-Broker Owner of CENTURY 21 Novus Realty in Carrollton. He has a degree in Business Administration from the University of West Georgia and 15 years of experience as a licensed agent in Georgia and Alabama. The Novus team closed 226 sides in 2017, and the property management arm of the brokerage manages an impressive 700 properties. Rett has served as President of his local board of REALTORS and Regional Director of the State Young Professionals Network. He is currently on the Research Committee and Commercial Research Advisory Board for the National Association of REALTORS. 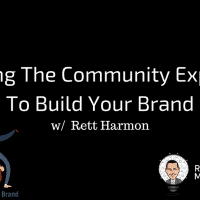 Today, Rett sits down with me to discuss the value in becoming a community expert, how he leverages video to promote local events and businesses, and how this strategy keeps him top of mind and generates referral business. Rett explains his all-in approach to personal branding and how it helps him establish relationships locally and make connections at industry events. Listen in for Rett’s insight around attracting leads with a combination of professionalism and fun.